The full day small group whale watching, wildlife, natural history, and glacier tour ventures deep into Kenai Fjords National Park. With over 25 years' experience, they will show you the Fjords' best kept secrets. This is a photographer's paradise where you will see the Harding Icefield, calving glaciers, seals, Steller sea lions, porpoises, and sea otters. They will stop for lunch in front of a calving glacier, giving you ample time to witness and photograph the face of the glacier as mammoth pieces of ice thunder into the sea. A majority of the time you will see whales on these wildlife and glacier tours. They normally depart at 8 am and plan on returning between 4:30 and 5 pm, but on numerous occasions haven't gotten in until later, usually because they have encountered an unusual wildlife sighting late in the afternoon such as orcas chasing a humpback whale. Enjoy a 3-hour canopy tour with eight exciting zips, panoramic Alaskan views, woodland aerial walkways and a photos of you or the entire family. Guests will meet at the Adventure Center in the Seward Small Boat Harbor where they will board a Stoney Creek Canopy Adventures van and drive out to the course. Vans leave promptly from the Adventure Center 30 minutes prior to the tour time. Participants arrive on location they will be met by the sight of a large yurt perched in a tree above them. This will be the Stoney Creek Welcome Center. Tour groups form up at the Welcome Center, meet their guides, outfitted with harnesses and helmets, instructed on proper zip line procedure and braking techniques, and put through practice "ground school" runs. Once completed they will be transported up a forest drive to a launch point near the top of the valley. Next comes a short walk to the course entrance and the first zip line leading to a platform with a panoramic view across the valley and glaciers to the south west. Zips range between 190 ft up Sitka spruces to 1,100 feet back across valley walls with a very scenic view. Bardy's Trail Rides will not disappoint because the area of Seward, Alaska is only accessible by horseback. View bald eagles up close, see where they nest and watch them feed. It is rare that you can't ride your horse right under the trees where they majestically perch. You will ride through part of the old town of Seward that was destroyed by the great earthquake of 1964. You will hear the stories of the people who lived through it. Their horses will then take you to the shore of the bay where the wild flowers meet the ocean. The bird life of this area is very diverse, active and up close. This trail ride could very well be the wilderness highlight of your trip in Seward and Alaska. Experience an array of Alaskan Species at the Alaska Sealife Center in Seward, Alaska. Animals that may be seen include Marine Mammals such as Sea Lions, various birds, fish, and an assortment of invertebrates. This center is well known for rescue and rehabilitation for animals in need. The Sea Life center is a must see, especially for those looking to interact with some of the marine life in Alaska. The center generates and shares scientific knowledge to promote understanding and stewardship or Alaska's marine ecosystems. We do hope you visit this Alaskan treasure in hopes of enjoying a marine life Alaskan adventure. Major Marine Tours' signature day cruises are hosted by uniformed Rangers. The Rangers provide a detailed narrative of the history, ecology, and geology of the area and are available to answer your questions throughout the cruise. They are very experienced, informative, enthusiastic, and enjoy the opportunity to share their knowledge of Kenai Fjords National Park and Prince William Sound. kids absolutely adore the Junior Ranger Program. They work directly with the Ranger as they identify the various mammal and bird species in Kenai Fjords National Park and Prince William Sound. They receive their own copy of the Junior Ranger Adventure Guide, which guides them through various identification activities and games throughout the cruise. A Junior Ranger awards ceremony is held at the conclusion of the cruise in which each new Junior Ranger receives a participation badge from the National Park or National Forest Ranger. Guests ages 13 and up are invited to take part in the Kenai Fjords National Park Explorer program. In this program, teens and adults are given their own Explorer Journal which provides information about the area and includes activities that encourage reflection and exploration on the cruise. Your real Alaska adventure begins with a 2-mile dog sled ride. Fell the power, excitement, and energy of amazing sled dogs as they are harnessed to comfortable wheeled sleds. Mush through the Alaska wilderness to the base of Resurrection Mountain and along Box Canyon Creek. Your guide will explain how the dogs are trained and steered, while engaging you in stories of the trail. Upon return to the kennel, tour their beautiful kennel facilities, laugh as a guest is dressed up as an Iditarod musher and cuddle adorable husky puppies. Your guides will offer a delightfully humorous, behind-the-scenes look at the Seavey family training for one of the most demanding races on earth. It is guaranteed to be one of the highlights of your vacation, this tour was chosen as one of Alaska's Top Twenty Attractions, and is a must-do for all visitors to "The Great Land." Adventure Sixty North hosts some of the best gold panning activities in Seward, Alaska! Watch a gold panning demonstration and learn to pan for gold near their stream. They pan rain or shine in elevated troughs under their rustic timber framed and canvas covered panning area with proven pay dirt so there is a possibility of everyone finding a little of Alaska gold and more! Learn how to pan, searching for not only gold, but semi-precious stones that are also found from time to time. This includes the possibility of finding Red Jasper, Hemalyke, Fluorite, Quartz, Amethyst, Red agate, Tourmaline, and Garnet. All of the semi-precious stones are indigenous to Alaska. They find that adults and kids love this activity in their outdoor setting. So, go on out, learn some interesting history, learn how to work a pan and maybe find a few pieces of treasure and more, while making lasting memories with the family. This adventure meets at 9:00 am at the Adventure Sixty North office located on the road that is the entryway to the Kenai Fjords National Parks, Exit Glacier (Nature Center). At the office you will meet and greet your guide who will outfit you with the needed crampons, harness, backpack, and other gear. Your guide will discuss safety and the hike and ice hiking details and will make sure that you are prepared with adequate clothing and hiking boots for this adventure before loading up and driving down the road to the Nature Center parking area near the Harding Ice Field trail head. You will hike up to approximately 1500 ft elevation on the Harding Ice Field Trail to another trail then descend down from that point of the trail to our approach to the glacier and then gear up to do our ice hike portion of this trip.The upper trail that ascends along the glacier up into the alpine meadows above the tree line. This hike should be only attempted by hikers in good physical condition and we also advise your to bring rain gear, and wear non cotton attire (synthetic type hiking clothing recommended), wool socks with hiking boots (no sandals), and you may even on sunny days consider sun block and sun glasses. This trip is a hike up into upper elevations and you may encounter various conditions such as wind at higher altitudes and also cooler temps as you gain elevation. Wearing a windbreaker with hood and having light synthetic layering that can be added or removed is advisable. You will be provided a guide, crampons, harness, helmet, trekking poles, lunch, water bottle, snacks, and pickup to and from your Seward lodging. Trail is subject to closure due inclement weather or wildlife issues. This hike will exit the upper trail and the group will then hike over to the glacier and access the ice after gearing up with the provided gear. Your guide will lead you around the many glacial features that are encountered and explain the various sights and sounds that occur. The full day trip departs in the Seward Boat Harbor on some of the sweetest water taxis that Seward has to offer. It travels along the coast from Seward out to the Gulf of Alaska and then into Aialik Bay. On board the water taxi you will have hot drinks, pastries/muffins, fruit and snacks. At the bay, you will be dropped off to begin your paddle. Your journey includes whale watching and wildlife viewing opportunities along the way. Often you will view the glaciers calving into the bay and will be able to experience the surprising release of energy and huge ice falling that creates thunder like sounds as you paddle along the glacier at a comfortable distance. The water taxi wildlife viewing portion is approximately a transport 2 hours each way. Animals that are often seen include: puffins, loons, whales, orca, porpoises, otters, eagles, bears, and great scenery. Hot drinks, muffins/pastries for the morning boat ride, lunch, afternoon snacks, boots, rain gear, and kayaking gear are provided for this fully guided trip. Enjoy a 3 hour canopy tour with eight exciting zips, panoramic Alaskan views, woodland aerial walkways and a photos of you or the entire family. Guests will meet at the Adventure Center in the Seward Small Boat Harbor where they will board a stoney Creek Canopy Adventures van and drive out to the course. Vans leave promptly from the Adventure Center 30 minutes prior to the tour time. A participants arrive on location they will be met by the sight of a large yurt perched in a tree above them. This will be the Stoney Creek Welcome Center. Tour groups form up at the Welcome Center, meet their guides, outfitted with harnesses and helmets, instructed on proper zip line procedure and braking techniques, and put through practice "ground school" runs. Once completed they will be transported up a forest drive to a launch point near the top of the valley. Next comes a short walk to the course entrance and the first zip line leading to a platform with a panoramic view across the valley and glaciers to the south west. Zips range between 190 ft up Sitka spruces to 1,100 feet back across valley walls with a very scenic view. This trip is available on halibut closure day, which is on Wednesday, the only day this excursion is offered. You can enjoy 4 hours of kayaking in Aialik Bay at one of the two amazing tidewater glaciers, and 4 hours of sport fishing on the way home for Salmon and Rock Fish. No experience is necessary because this includes a fishing tutorial, tackle, bait, fish cleaning. Your guide will provide kayaking equipment and lunch as well! Aialik is home to 3 large glaciers that are accessible by kayak: Ailik being the largest, Holgate the second largest, and Pedersen the third largest (and a piedmont glacier). The area is rife with wildlife of all kinds - it is common to see Black Bears, Harbor Seals, Whales, Sea Otter, Porpoise and so much more while in the kayak or on the boat ride in and out. Departure will be at Miller's Landing at 6am fully loaded with kayaks and bait. The Captain and Kayak guide will collude and agree upon dropping you at Holgate, Aialik or Pedersen Lagoon. Landing will be around 8-8:30 am depending on the sight seeing time, and then your kayaking trip will begin. Your guide will take you on a wondrous kayaking adventure to the glaciers and by Noon you will be back on the boat enjoying a lunch. From there, you will fish until 4-4:30 before heading back to hang your catch for photographs! Trips are generally back at the dock between 5:15 to 6pm. *This is trip is also on no Halibut Wednesdays, if this doesn't suit your fancy, please look at our second option for this package. If Wednesday's don't work for you, then this is the excursion you should take! While kayaking is NOT included in this choice, you will be able to enjoy 10-12 hours of fishing with a full day fishing package. We highly recommend this package for those wanting to get as much fishing in as possible. The Full Day Combo trip will take off every morning during the fishing season. During your travel time to and from the fishing grounds you will have plenty of opportunities to check out the vast wildlife including bald eagles, photograph the beautiful scenery or maybe take a little snooze inside one of JDock's comfortable brand new vessels. Once the captain reaches their prime fishing destination anywhere from Prince William Sound, Montague Island, Resurrection Bay or Kenai Fjords National Park, you will be on a whirlwind ride fishing for trophy Pacific Halibut, Silver Salmon, King Salmon, Lingcod, Yellow eye rock fish, Black Bass, and an assortment of other Rock fish. JDock's goal is to help their customers achieve the Grande Slam - catching four species or more on a trip (when conditions allow.) Once you return from your fishing trip, the captain and crew will hang your catch on the Jdock hanging station for a once in a lifetime photo opp and then fillet your fish. If this is the choice for you, Resurrection Lodge on the Bay will offer you $50 credit towards your packaging and shipping needs for your fish. This is the best way to see Seward in a day, especially for those without transportation. First, take in the fascinating history and breathtaking beauty as your guide shows you the sights of Seward, known as "the Gateway to Alaska" and "Mile 0" of the Iditarod Trail. See first- hand the effects of the 1964 Earthquake and stand in awe of the mountain that is home to the second oldest foot race in the United States. Then, Head out to Exit Glacier in the Kenai Fjords National Park. A short walk along the nature trail takes you to the face of the glacial ice. Watch for mountain goats, moose, or bear on the mountainside. During the salmon runs, see salmon swimming upstream to spawn. 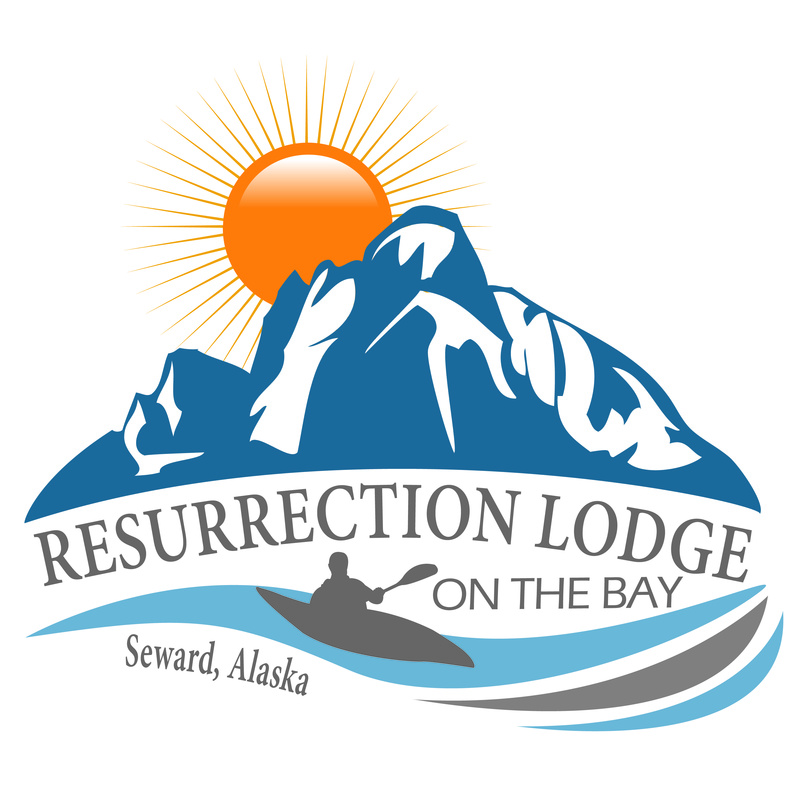 A hearty lunchy will be served at nearby Resurrection Roadhouse before you travel to the Seavey homestead and experience IdidaRide's 1.5 hour Wilderness Dog Sled Ride and Tour. At the end of this fun-filled day, your driver will return you to your hotel. The 8.5 hour Northwestern Fjord Cruise travels farther into Kenai Fjords National Park than any other cruise. Ideal for photographers, birders, and whale-watching enthusiasts, this small-vessel adventure cruise explores the remote, untouched area of Northwestern Fjord in Kenai Fjords National Park. The Viewfinder is their smallest vessel and gives you up-close views of wildlife and glaciers on its wrap-around deck. The 8.5 hours spent on the water will fly by as the captain seeks out the best wildlife viewing opportunities in the area. You will spend time in front of the impressive Northwestern Glacier, an actively-calving tidewater glacier. A complimentary light breakfast and hearty deli lunch is included. Enjoy a fantastic aerial view of Alaska wildlife while flying over Kenai Fjords National Park. The Wildlife Tour is an hour long overflight of several glaciers and the Harding Icefield. Along the way you will almost certainly see harbor seals on ice, mountain goats and bears. Sometimes even whales. The hour trip gives time to scout the animals' locations and to circle them for pictures. You will see at least Bear Glacier, Aialik Glacier, Pederson Glacier and Exit Glacier. Perfect for families and just the right length to allow time for other activities in Seward, Kenai Fjords Resurrection Bay Wildlife Tour, with an exclusive visit to Fox Island for a wild Alaskan salmon and prime rib buffet with an optional king crab dinner. Learn about the rich history of Resurrection Bay while viewing the jagged cliffs, seabirds, marine wildlife and alpine glaciers, including magnificent Bear Glacier. As you cruise to Fox Island, watch for puffins, cormorants, and otters as you cruise along the spectacular shores of Resurrection Bay.